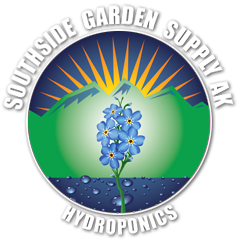 For quality hydroponics, Wasilla relies on Southside Garden Supply, Alaska's largest retailer of hydroponics & indoor garden supplies! Southside Garden Supply of Wasilla, Alaska has indoor gardening equipment, greenhouse lighting and air systems, hydroponic systems, soils and fertilizers, and EVERYTHING an Alaskan needs to support productive indoor cultivation. Take advantage of our Price Match Guarantee and simplify your day with our new Wasilla location. We're just a short 20 minute drive from Palmer. 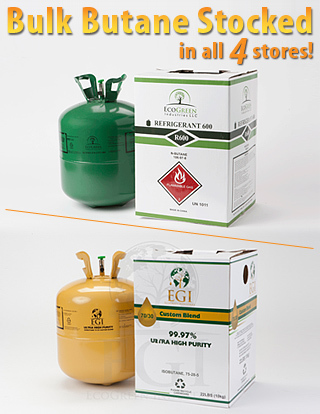 Find your hydroponic supplies quicker, and waste less gas getting here. Best of all, we're now supporting Alaska's growing cultivation businesses with Wholesale Direct Farm Pricing on all equipment and supplies. Take advantage of pallet delivery to your door and ongoing service to keep you growing strong. We are your trusted source for hydroponics and indoor gardening supplies in Alaska. 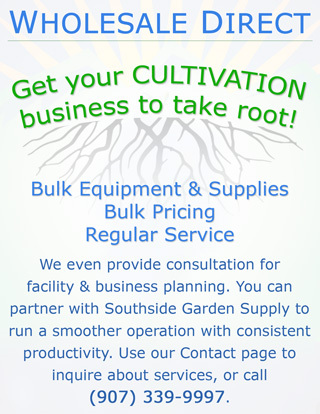 Southside Garden Supply in Wasilla can help your cultivation business take root!